The deep maroon colour of the cherry sized fruits is truly amazing. A colourful vegetable, which itself gives an interest to your garden. Grows well outside in the UK. And your summer harvest will be colourful and delicious too with this cherry tomato's somewhat sweet, rich and distinguished flavour. 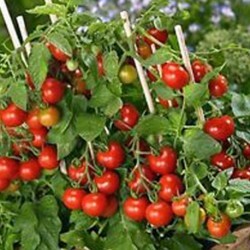 The strong growing plants will fruit slightly earlier than other cherry tomatoes. Sow the black cherry tomato seeds thinly into a seed tray or in small pots or cells, cover and water them lightly, and place at a temperature of 20-25 Celsius on a windowsill. This higher temperature is needed for tomatoes, aubergines, peppers, chillies, in general for fruiting vegetables. Start these veg seeds in a heated seed propagator or greenhouse for best results. In 8-20 days, depending on the growing conditions, the vegetables germinate; most veg seeds produce veg seedlings in this timeframe, and they all depend on the available moisture and temperatures to sprout successfully. As soon as seedlings have 2 pairs of true leaves, prick out and transplant the seedlings into individual small pots, later on they might need to be repotted if growing quickly and large. Make sure that the tomato leaves do not overlap so that there is plenty of room for air circulation, this way the young fragile tomato plants have less of a chance to catch any diseases. Temperatures during this period should be 12-20 Celsius. 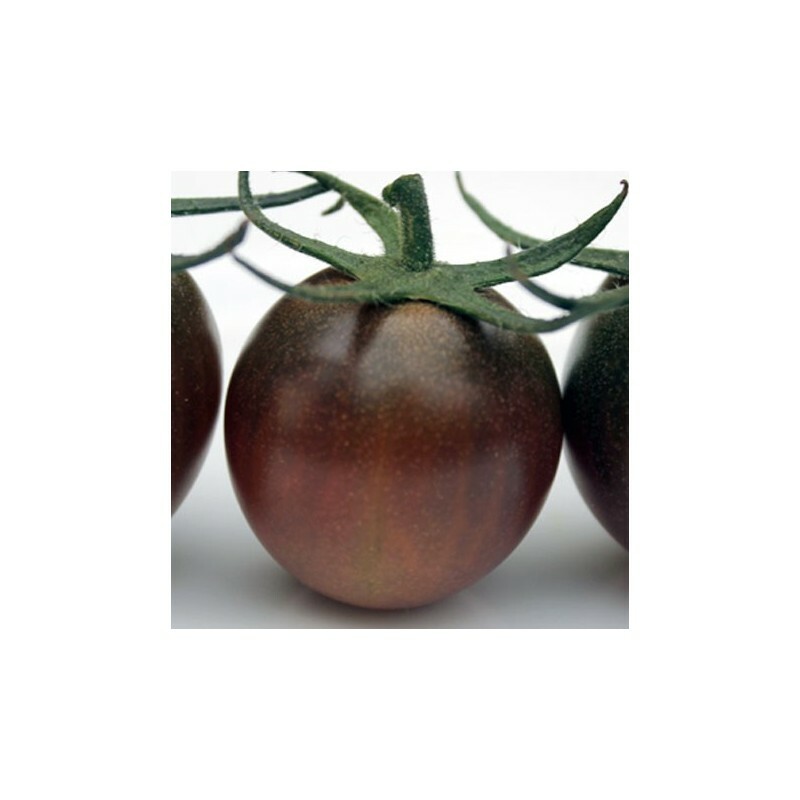 Plant the black cherry tomato plants outside mid-May-June (most importantly when there is no risk of frost in your area) 80x60 cm, or keep in the border of the greenhouse or polytunnel in a growbag or in rich, moist soil. Support the developing stem with twine as they grow. The plants will need some sort of training system to grow up on. 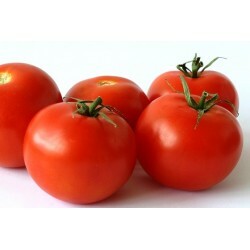 Cordon tomatoes, as the name suggest, grow high up and they grow continuously. Side-shoot removal must be carried out from the start of the growing season, as soon as the plants have 2-3 pairs of true leaves they produce sideshoots. 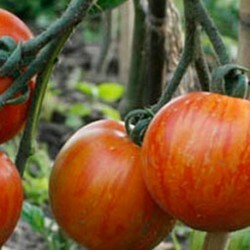 When you are growing black cherry tomatoes, restricting the plant to one main stem is the common gardeners’ law. Stop the plant growth by pinching out the top growing point of the plant, when 4-5 trusses have set if you grow them outside, or when 6-7 trusses formed if you raised your plants under cover. The lower leaves should be removed too when they start yellowing, this will aid fruit ripening and improves air movement around the plants, which will help to humidity. Diseases thrive in humid conditions so do make sure the air circulation is good around your tomato plants, to protect them from getting sick.